Established in 2000, Sean Flynn Landscape (SFL) believes your property should be a welcoming, fun space to relax in and we are committed to providing prompt, considerate, high-quality service for any size project. We have developed the skills to coordinate all aspects of creating a successful landscape project. Our crews understand the importance of focus on the smallest design details to bring your dream landscape to life. The SFL crew of masons have extensive experience building stone walls, walkways, and patios. Our plant professionals understand the best way to plant trees, shrubs, and perennials. When working with our company you will get a benefit not commonly found among other industry professionals as we grow many of our own perennials and annuals right here on our local farm. Once your ideal landscape has been installed, we are here to maintain it for years to come. The SFL maintenance crews realize what it takes to maintain your outdoor living space as it was intended. This service extends to the maintenance of turf, perennial gardens, seasonal containers, and ornamental pruning. We are a full-service landscape company whose comprehensive property maintenance extends beyond the services listed here, for a full list of services be sure to visit our services page. Are you ready to have the landscape of your dreams? Call us now at 774-218-3121 to get started with a FREE consultation! Buy enough Mulch & Soil. To know how much soil or mulch to buy, you need to know how to calculate the square footage of the area. Make fewer trips to the garden center by purchasing the right amounts of mulch and soil the first time. We believe in creating stunning landscapes where each part of your property becomes a useful and enjoyable place to be. We do this by listening to what inspires you and combining your vision with our skilled expertise. Our site work solutions include clearing, grading, planting of trees, shrubs, and perennials. Entrust us with your next landscape project to achieve your dream for an outstanding landscape. We are passionate about the permanence and beauty of stone work. We only select stone that compliments your lawn and landscape. Each stone project has a unique feel in time and place. 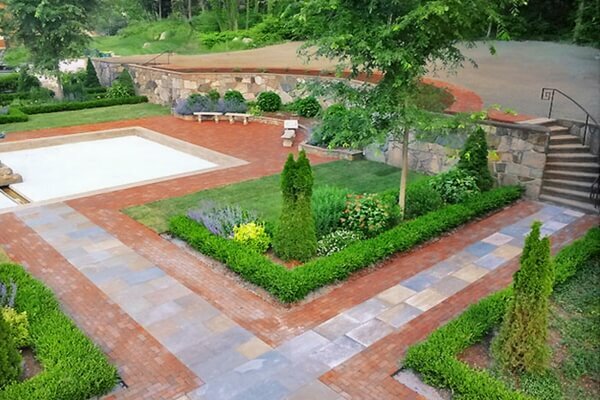 Whether we are installing walkways, walls, fireplaces, outdoor kitchens, pool aprons, or patios, we bring to each site a passion and expertise for excellence. 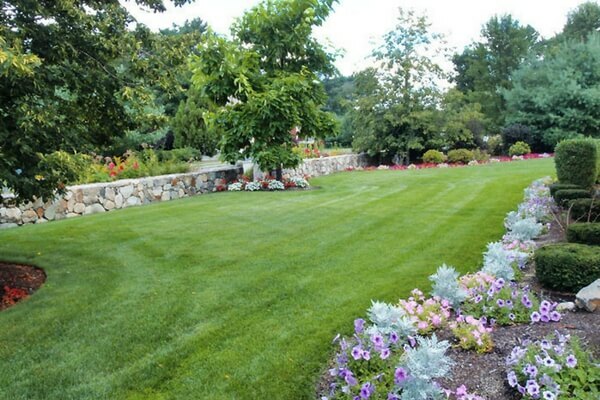 Depend on us for your next long term investment in your landscape.